PHILADELPHIA—Audience members at the Academy of Music cheered the revival of a 5,000 year old divinely inspired culture on stage, and mourned its near loss and persecution in its homeland today. 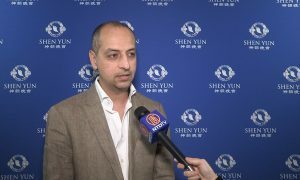 “It’s inconceivable,” said Lynn Hassan, a social worker, after seeing Shen Yun Performing Arts’ depiction of the persecution of Falun Dafa practitioners and the suppression of traditional culture in mainland China. “It’s terrible. I just think it’s so sad,” she continued. For several decades, the Chinese Communist Party has attempted to systematically quench traditional Chinese culture and beliefs through radical movements like the Cultural Revolution. Included within this is the Chinese regime’s persecution of Falun Dafa, an ancient spiritual discipline and meditation practice centered on the tenets of truthfulness, compassion, and forbearance. 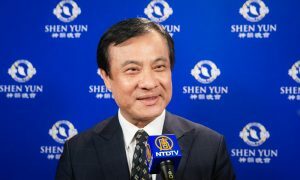 As a result of this destruction of China’s ancient heritage and traditional beliefs, Shen Yun Performing Arts was created in New York City with the mission of reviving 5,000 years of traditional, divinely-inspired Chinese culture and history. Through music and dance, the company brings to life China’s rich traditions and shares them with audiences all around the world—except in China, where the company is banned from entry. 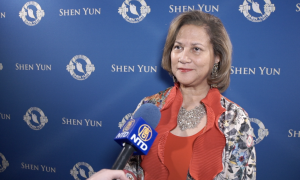 The scenes of the persecution of Falun Dafa practitioners reminded Mrs. Hassan of her Chinese friend, a politically active teacher from a small village outside Shanghai who escaped China after the deadly Tienanmen Square Massacre and became a nurse in the United States. 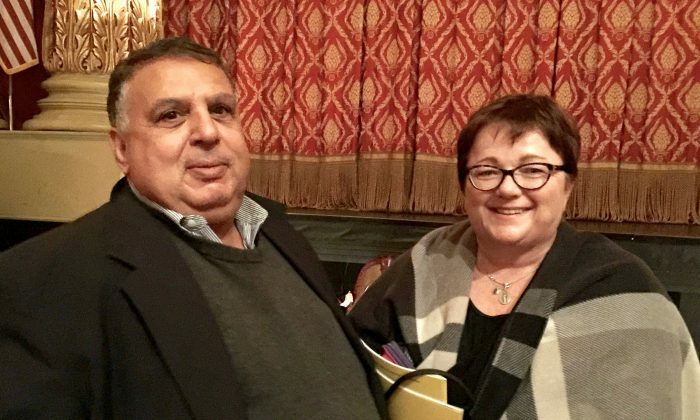 Mrs. Hassan saw Shen Yun with her husband Ahmed Hassan, an engineer who brought her tickets as a special gift to see the performance on the evening of Jan. 8 at the Academy of Music. 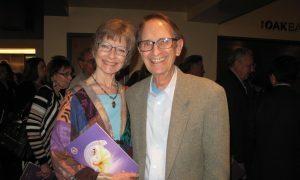 Beyond just the tangible elements of the performance like the vibrant colors, the animated backdrop, and the technical skills of the artists on stage, what Mrs. Hassan loved most was the symbolism and deeper meanings of Shen Yun about spirituality and freedom of belief. 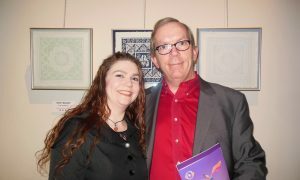 John Adler, owner of a Mexican restaurant, similarly sympathized with the Falun Dafa practitioners and appreciated Shen Yun for offering him insight into authentic Chinese culture and history. 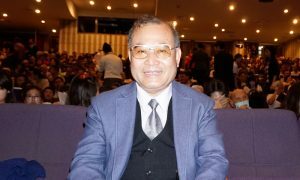 In reference to the Falun Dafa practitioners, he said, “I would tell the Chinese officials to let them meditate.” He wished the Chinese people were able to embrace their spiritual side, the spirituality permeating the entire Shen Yun production. 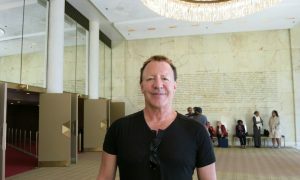 He loved everything about Shen Yun, and was therefore all the more saddened that it could not travel to its homeland. “It was almost surreal sometimes—the colors, the backdrop were so beautifully done. I felt like I just wanted to step into it myself,” he said.